After some 2000 km traveled in just 48 hours, I can definitely say it was well worth the trip. We chose to go to Lake Tuz (Tuz Golu). In a place with just over 3 minutes of total eclipse and nice scenery. We slept in Ankara. 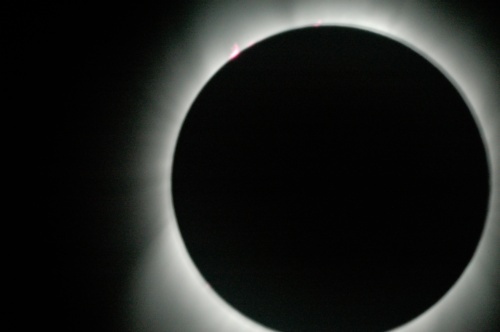 In case you missed the last two total ecliplipses in the region - 1999 and 2006, you'll have to wait for a while for your next chance to catch one. To avoid telescope shake use a remote control or timer. Never store pictures in JPEG. Always use RAW. A telescope with a shorter focal length may actually be a good thing.